transients associated with faint (~> 20.0 mag) catalogued host galaxies will not be flagged as nuclear transients. Many of these hosts will be faint compact galaxies and also for most catalogues the star-galaxy separation accuracy degrades at this limit. 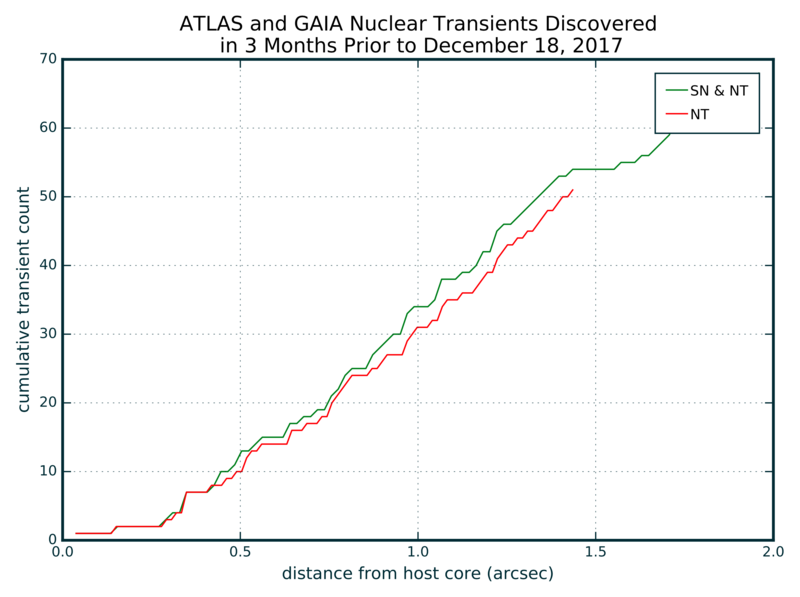 transients occurring near the core of galaxies known to host an AGN (Veron and Milliquas catalogues) will always be flagged as AGN not NTs. 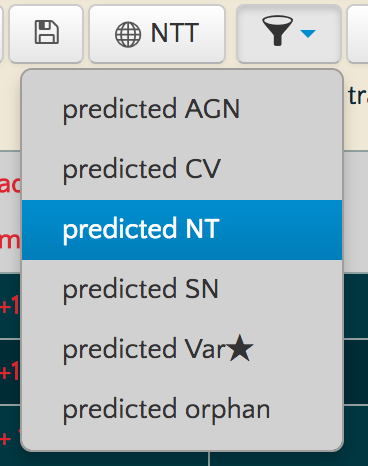 The filter works in whatever sidebar list you visit, so if you’re in the inbox and select ‘predicted NT’ it will filter the inbox to show you only transients predicted to be a nuclear transient. 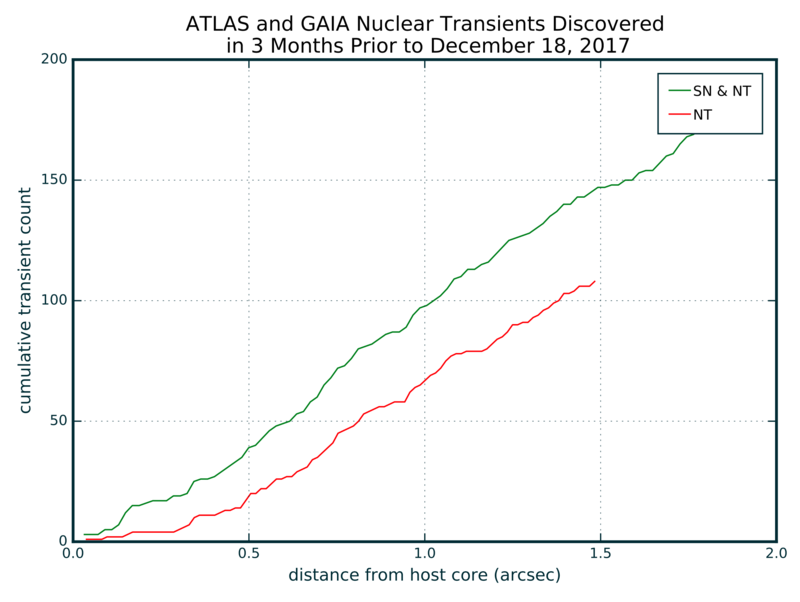 scanning the filtered & sorted list for transients that meet the host redshift, magnitude and transient-host delta mag criteria and prioritising them for classification. You should repeat this process again for objects flagged as AGN in the inbox. Note as you can combine the first 3 steps by bookmarking this URL (for NT) and this URL (for AGN). 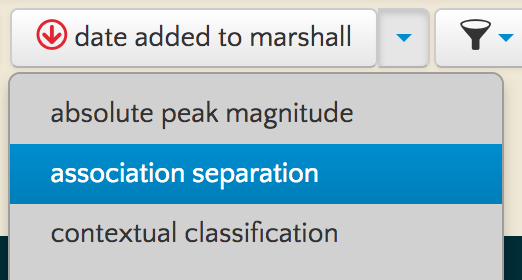 Another seldom used view of the marshall is the table view where you can see lists of transients in a table instead of tickets (hover over the eye button and select table). For example here’s the list of all NT in the marshall. Click on the table column header to change the sort parameter/direction and click on the table row to view the transient ticket. 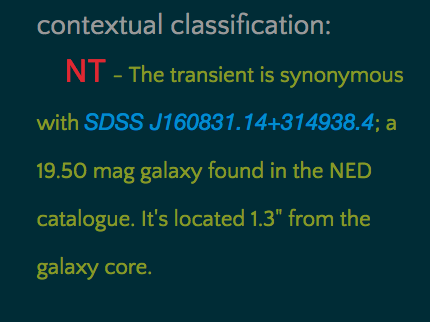 See first point in the caveats to the contextual classifier for the differences between the NT and SN annotations at the cores of galaxies.